I have been amazed at the positive reaction I have had from people to my last post asking for help and I hope lots more of you also Get in contact too. Many people I’ve not heard from in a long time have asked what they can do to help and so now I am working on re-finding out what people do, their skills and what could be possible. I’ve known many of these people for years and some new ones but more known them from working on a set project so don’t know their full work lives or what they studied so that is my next port of call. Thank you to all that have submitted your support, it is great to know that I am not alone in this idea. If you feel you could help, please Get in contact and we could organise a meet up to talk in more detail. What you think my next steps should be? Thank you for reading, I’ll update when I have something more to update you on. Good day friends, I am hoping you can help me. I am looking to setting up some sort of organisation and need help on how I can do this. I want to set up an identity that can manage a social enterprise business of sorts to help those who are struggling in life. I have no idea how to make money out of this to self fund itself and believe it will need significant investment and help from people that know what they are doing. All I have at the moment is an idea and I hope that people can help me expand it and help it grow. One idea I’ve had is to use affiliated marketing, where people click though and buy via links on a website to raise money for the group or diversify web development into it somehow as that is something I know how to do. Over the past month, you’ve seen me post many messages on how I’d like a place for people struggling to have somewhere to get support. I am aware there are various organisations that already do this and many are already overwhelmed and need support themselves. Create a place where people can be fed, provided with resources to live and support to help them to a better place. There are many ways you can help, and support is a big one along with prayers but this project is not about my beliefs in Christianity but in the hope to help people in my area. Please have a look and if you can help please get in contact. I am aware that there will be many skills that I do not have, and if you can help or advise on the following, that could also be really helpful. I really appreciate your interest, and hope that you will get in contact and see what we can do. I can meet with people in Stockton during day times to discuss ideas you may have and if you have any suggestions. In my last few posts I’ve shared about what I can see as an issue in Stockton on Tees (and surrounding area) with people struggling and with homelessness. I want to explain a little on how things so far have set in place and its certainly not been a short journey. There has been a vision of change for many years and it first really started back in 1999 when I was first a steward transitioning from an attendee to one that helped with friends. 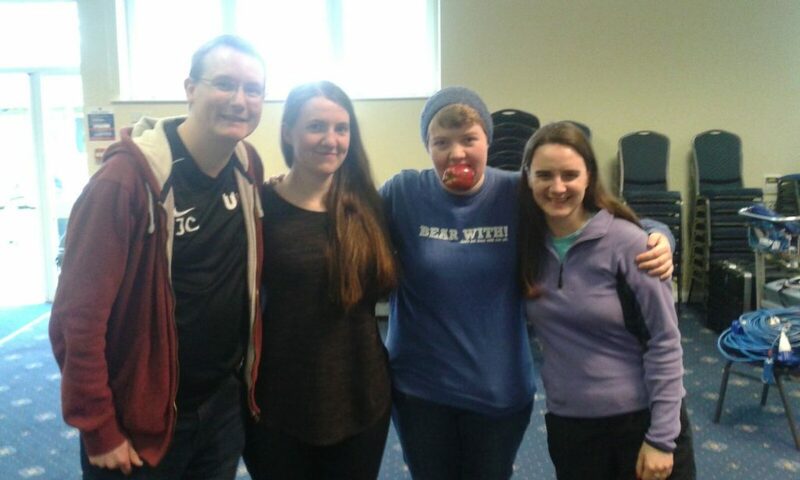 I was in an active church with active youth church too and we met regularly and prayed regularly for each other. I miss that, but always used to have difficulty doing the whole prayer out loud thing as I still do. We were away at a celebration when I saw that I was in multiple spaces of time simultaneously. Where everyone was in worship and I was there but it was not all then. It was as though time did not exist, and we were seeing multiple time periods simultaneously. I could recognise some as past as many as not yet, and this was around 2002. Since then I’ve seen them again but been in the moment – one of those moments was last years spring harvest when we were in the mixed range group in centre stage. Another time I was standing and praying and found myself in a large building – it seemed like a block of offices that on every few levels had a mixture of shops or services on it and some had green spaces with trees and grassy areas. I was to discover that this was actually a place for those struggling in life from addictions to homelessness to those soon out of work. It was somewhere they could live and get the support they needed all in one place. And that got me thinking, should I be on a mission? – I explored the various charities and mission groups and every time I looked into it, I got the message that “mission starts at home” and that I was not to go away but to work and help the area I live in. But what can I do? and then everything went on pause. Work was not really happening and the funding of life became difficult and everything was work, try to work etc and pause, the dreams always hung in the back of my mind but I didn’t really do anything more with it. I attended and helped at various events usually to do with youth work, sometimes Harvest and sometimes IXth hour. I would get the message that I could one day be one of those on stage, sharing Gods message to people but I couldn’t even stand up and chat to 3 to 4 people, never mind 500+ and thought that could never happen and dismissed it but consistently was reminded that I should try. When I attended message 2000, I froze completely in front of strangers and no words came out and others came to rescue me – I got over it the next day but it was not easy. In 2011, I felt a pull to study law at university – another thing I thought I’d never get through. I went not to get a degree but to learn how to protect peoples rights, and keep people safe. I’d always advised people of the logical sense of arguments but I wanted more, I wanted to know what I was saying would protect and not just advise and as I’ve found, the law is not quite as logical as it would be thought with many exceptions to many incidents. I am better informed now, and that is now finished as of yesterday and awaiting results – I actually got through it! I still struggled with presenting, and found a group named Toastmasters which helps people get the confidence to speak and how to project yourself. The group didn’t last long in Teesside but I attended for about 9 months and did stand up a few times and gave talks… it was terrifying and still it was difficult at university until one time that scared me a lot. I was sharing my faith with friends in a group setting, a group that takes the mic out of most things and for the first 40 minutes, it was awful but by the end they were talking and working with me and asked what is next week excited. I did 3 to 4 sessions with them, each about 90 minutes… and when it came to a university presentation later that year, talking about a subject I knew about it was a lot easier. I’m not saying presentations is something I enjoy and I really do get nervous sometimes but it was seeing a youth leader that I’ve known present for 20+ years getting nervous before going on stage and then he was full of confidence then back off full of nerves. When I chatted to him, he told me it happens almost every time – it doesn’t get easier and that gave me confidence too. I also chatted to several other I know talk well publicly and they all said nerves gets to them too. Several years later and I was at SH helping in the Big Top (the only year I’d done Big Top) and on the stage was someone from my home town talking about the poverty of my home town and how Spring Harvest could help. Money was raised and sent there to help with projects but the passion hit me hard. I got through the stewarding but afterwards I was useless to everyone, broken inside and people could see. Friends helped me back to the stewards lounge to rest and I just was broken with joy. I tried to get involved with the charity, but it was a charity for women and young people only so I didn’t really “fit” there but it kept on my mind. Last year I got the message that the time to wait is over and to get started, and this year I saw how I could use much of what I’ve learned this year to start something – the only issue now is to figure what that something is. I think its to create a place where people can get the help they need like the building suggested above though I am not sure where it will go, or how it will be funded or anything like that but all ideas come from somewhere and if there is a passion behind it, something can usually be found. No matter if it was my imagination, it is something I’d like to see if can be done. Well yesterday I submitted my dissertation so now is the time to get started with the thoughts on how to proceed and research on how to actually get something in progress. Over the past few years, I have worked with organisations to help out at things and was always told, if I ever needed help to go back and ask so that is where I will be starting as soon as I work out how to make some sort of business case or plan of the aim of what I want to achieve. I may even need help with that – If you feel you can help, please get in contact with me. I have a contact page on my johnc.info website and would love to hear of your insights too. Thanks for reading. Until next time…. “Now I see people struggling and would love to find a place or set-up a place where people can come and eat and not worry about the cost but have a healthy full filling meal. Somewhere they can stay if they are homeless or struggling or just trying to get away from others and need somewhere to rest. I did not know where to start with this idea, and started with the internet searching to find if there was any projects already running in the area that I could maybe help with and learned of hundreds of organisations working for various causes around where I lived that I’d never heard of and a few I’d heard of but never knew what they did. There is a cafe I often go for lunch called Labyrinth Holistic Cafe – a nice place to go relax at lunch and disconnect from the busyness of work for 45 minutes. They do a great selection of meals, soups and many teas that I enjoy to chill with. They are also one of the only Gluten Free cafe’s locally which is a great benefit to many people. They also started a project called “One for the Wall” where people could buy more than just their share and put it aside for when someone needed something. This was aimed to help those who were homeless or struggling but over time has morphed into a combination of a food bank and help bank sharing items from sugar and tea to clothing and pots and pans. 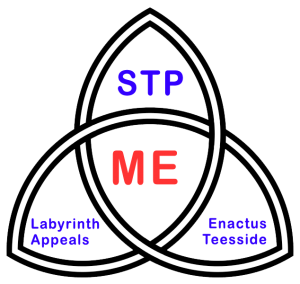 This has been given the project name Labyrinth Appeals and now works with multiple organisation in Stockton to provide help via referrals in a cafe that means people are not often aware that people are getting help to help people with dignity and embarrassment. I have been helping with getting some donations, promoting their project and helping with some connections and publicity. Over the last year, we have worked with fareShare (supermarkets giving food to avoid food waste) that is used to make some items in the cafe and the profits going to the food/help bank to provide items for people in need. As it was discovered, its not great giving fresh ingredients if they have no way to cook, store or prepare them. 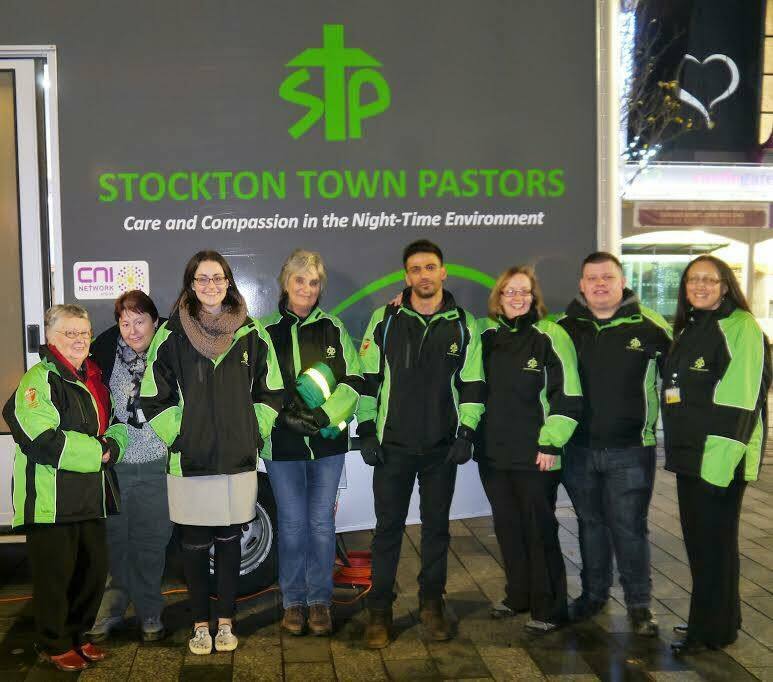 Another project is Stockton Town Pastors (STP), they are a part of the Christian Nightlife Initiative that goes across the country and STP have been running about 7 years now. We go out on the streets on a Friday, Saturday and some holiday nights out and help people who may be a little worse off providing water & flip flops if needed and sometimes first aid or just sitting with people who may have lost friends. It is a collaboration with the night life teams including door staff, CCTV, Emergency services and volunteers. I realised that while I’m out on a night myself, I’m often left in a position of helping people out/looking after them without really thinking about it. I want everyone to have a great time out but some people always seem to take it too far and not know their limits. I’d prefer they get home safe than anything happen to them. 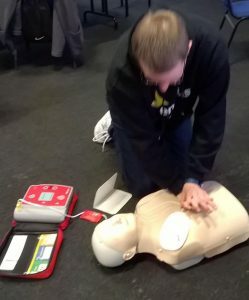 I found that my years of stewarding, looking out for dangers and general safety made me ideal for this kind of role with STP and so went out on a few patrols with them and have since been through various training including Emergency First Aid at Work, and joined with their team to go out at least once a month, and plan to be much more from May time. The third project I am working with is was a university society named Enactus Teesside. I had heard the name before but just in passing without any idea what they did. I think it was September 2016, where I helped with a colour run that was being run at Stuarts Park in Middlesbrough. I am part of the Voluntees network where students can volunteer for things, and they requested 4 to 8 people to throw paint over people at the colour run to represent Teesside University. I put my name down, it was a lot easier than running it. I met a group of people who also volunteered, we called ourselves the paint pirates where we got to throw orange paint (my favourite colour) over people as they ran by. I got to speak to people in the group where two of them told me of Enactus at the university. I messaged the chair to have a chat and see how I could get involved and what it could also offer me. I found there was many networking opportunities I could go to, training and friendships. I found the group to be an academic group but one that would help people as much as they could. I initially didn’t get involved with a particular project but provided insight, and connected people to contacts they needed. People I had as friends that they were wanting to talk with, felt strange but nice at the same time to re-connect people. I think that is something I would like to do professionally if that is something that is possible. Over my life, I work to keep in contact with people, find out what they are up to and help connect people if I feel it would benefit them both. Is this something I can be paid for? I am not sure, but can look into it in a few weeks time. 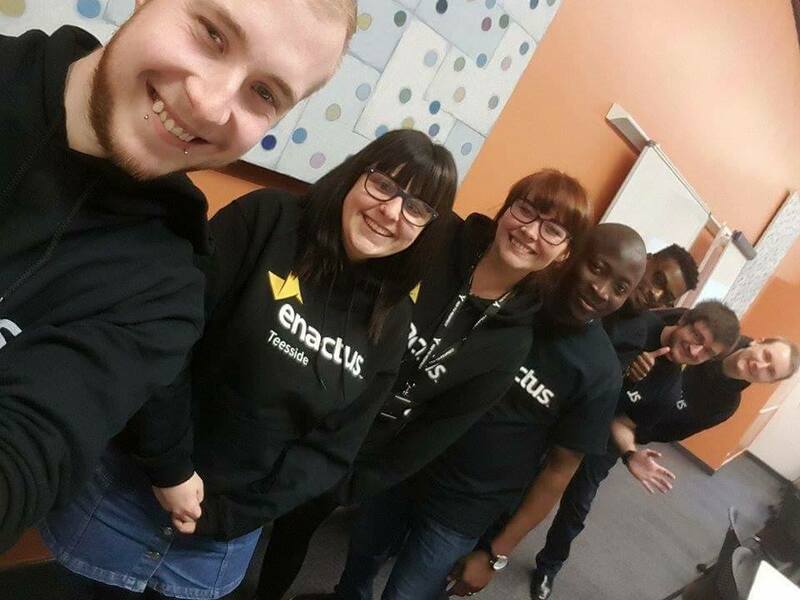 So a little about Enactus Teesside, they’ve recently been in the news about their successes at the Enactus UK Nationals this past week but to tell you in the simplest terms I can: A group of students who want to help people locally and nationally using social enterprise projects. This means to make them self sufficient and can keep on going after we have set them up and passed them on. There is much more details on the website at where you maybe able to support or get involved with. I was unable to attend the Enactus nationals competition as it was the same time as Spring Harvest this year and I’d already committed to doing that before I knew the dates but Teesside demonstrated that they are doing their projects well and the things I did in the background really did come in useful. I plan to continue working with the above projects in the foreseeable future but believe that I can use some of the knowledge and experience to further the project in the first paragraph. I think I needed to see what was currently possible, how things were setup already before I could even contemplate how to proceed with the plans I was given. I have been very thankful to the various organisations, for their support and the opportunities they have provided. And look forward to what is coming next. Skegness, Time away, Spring Harvest 2017, the next installment? This seems to be my annual update for Spring Harvest as I don’t tend to have much time to update this blog or in reality much time to write that is just for me. 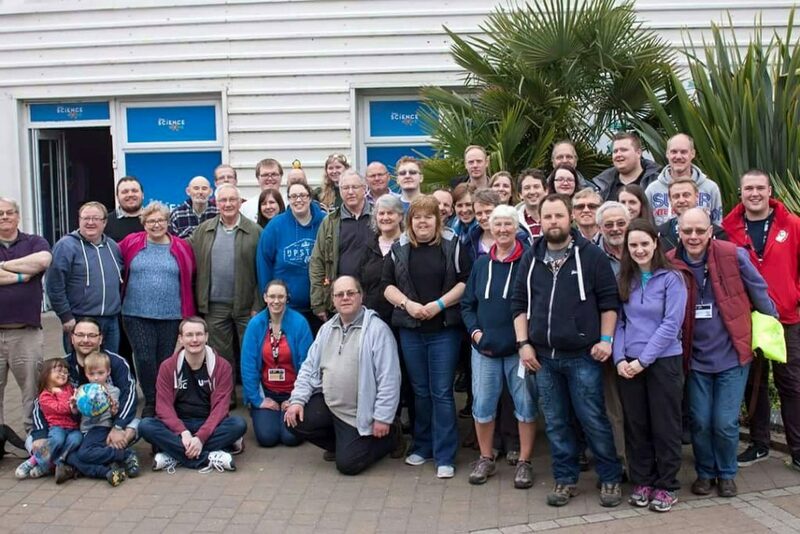 Over the past week I have been away to Skegness at an event named Spring Harvest. I’ve been stewarding there since 2009 and always over the Easter time of the year. This year we had good sized team and it has been a great mix and I’ve got to know many people and make some amazing friendships. Spring Harvest is a teaching and worship event for everybody. It’s a unique break for all the family: holiday, festival, conference, and an encounter with God. I help/worship by volunteering with stewarding and always get to meet great friends new and old. I was not sure if I was going to attend this year and it came down to the Saturday before to decide whether I was going or not as university work is quite stressful at the moment. I have my dissertation due in now 10 days time and having my first main copy done this Wednesday. The plan was to be done before I went away and it wasn’t looking good. I decided I needed a break from it to look at it with fresh eyes and rest – there was not much resting this past week but certainly a break. I’ve re-read a lot of what I did last year and still can relate to a lot of it but I am enjoying things a lot more. Work & University are both difficult but do-able and university is almost over. This year at Spring Harvest, I was asked to be a team leader of Jaks which I enjoyed a lot. My team worked really well together and was in the 11 to 14’s venue all week. We had a lot of fun with the crazy games they had on and a few discussions about what they could or could not do but overall an amazing week and would love to work with those teams again. This is still a passion to do and not really started on as a project. Over the past year I’ve been getting involved locally with projects and can now see that I can use what I have learned from these projects (next post) to go forward. I still don’t know how it will happen but do know I’ll need a lot of help with everything from getting funding to providing the services but feel I am now in a position to help make this happen – well in 14 days time (after I finish university). There has been a lot of reflection to last year in this post, but hope you will continue to read future posts. As it happens, while volunteering and helping about; this is when I feel I hear from God. This year it was at the end of one of the events we were running for the 11 to 14’s. The venue was cleared and we were cleaning up the area ready for the next things but the band and venue team were still worshipping and I just stopped and felt a great warmth and opportunity to pray and asked “I’ve done lots this year, and learned many things but what is next – how can what I’ve done help with the vision of last year?” and a calmness covered me and it was like the trinity symbol I love coming together with me in the centre, and the three projects I’ve worked with surrounding me. I could see that they were not the final project but a stepping stone, I can pull them together to make something new. I am thinking that a project could be setup that would encompass some sort of social enterprise that would provide for homeless/those in need while at the same time making money to pay people to run it and make it self sufficient. I’ve worked with many charity groups and funding is always an issue so to make something that could re-generate funds within itself would mean it could keep on going. I am now aware that it is possible to get grants, and funding to support ideas of change but will need a LOT of help to get anywhere. So where to go next is the question to ask, and I am sure I will be asking people to help me as I know I cannot do this one alone. I’ve shared a few of these ideas already with some of you and you’ve pledged your support but how… that is the next obstacle to get over. 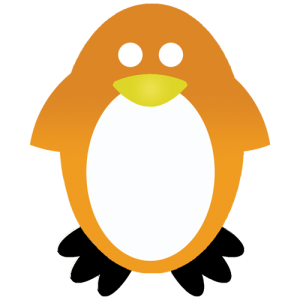 Have you seen the Super Bright Orange Penguins?? Over the past week some people have seen me in my extremely bright orange hoodie a friend made up for me and asked me what is it about Orange Penguins and why am I wearing it. Well the basic overview is that myself and friend Michelle are going to compete at the Gung-Ho 5K Obsticle challenge. Gung Ho is a 5k fun obstacle race and we are doing this as a goal towards getting fit, loosing weight, and raising funds for Dementia Awareness, and hopefully having fun along the way!! We are Team Orange Penguins and over the next few months we will talk about how we are doing on the blog at Orange-Penguins.com– we are both not fit and I’ve just had a week at Spring harvest for a kick in to start getting fitter where there was daily lots of walking and lifting of chairs. Skegness, Time away, Spring Harvest 2016, Next…? Over the past week I have been away to Skegness at an event named Spring Harvest. I’ve been stewarding there since 2009 and always over the Easter time of the year. This year we had quite a few less stewards on team than normal but it has been a great mix and I’ve got to know many people and when I got home last night about 8.30 pm I thought I would just fall asleep but nope, was wide awake for the next few hours but enjoyed an Easter egg and cup of tea. Spring Harvest is a teaching and worship event for everybody. It’s a unique break for all the family: holiday, festival, conference, and an encounter with God. I help/worship by volunteering and always get to meet great friends new and old. This year I went with an open heart and mind. My last year or so has been hard with various issues going on and job security and university work just not quite going to plan but most of that is now sorted so now to focus on something else. For years friends have known I am a Christian and I do not really shove my beliefs in their faces but have always tried to show through action and then if asked, talk about my faith but a few new friends seemed very surprised when I said I was Christian – their comments of I’d not have guessed with some things you do and it got me thinking… how come I am not seen any more as who I am and what has happened? I had a few weeks of examination of myself and noticed that many things I stood for and would challenge people on were no longer happening, I was not particularly happy but just existing and saying I’m fine, not really feeling anything but also trying to find happiness in different ways. I recalled times of joy in my beliefs but couldn’t actually feel anything in particular for it. I wondered why go to spring harvest, I know I can help but what is the point really? I prayed “God, please help me be useful at spring harvest – you know I can do the job and I’ll be with friends but put me where you want me and hopefully I’ll learn something” – I didn’t feel anything, it just felt like I was talking in my imagination but the thought that someone could be listening felt great too. I’ve been very alone now for a long time it feels. I have friends and many many connections, I have people I can trust and talk too but whenever I stop I am alone and crave company that I cannot have. I am always wanting to make it the best I can for people around me – make them as happy as I can as I feel a little joy when they are happier. I struggle daily and instead occupy my mind with the thousands of ideas I have to try and change this world and make a difference. I worry about how this place we call home is going politically, financially and socially as more and more pressure is being put on people and the world has cracked and the crumbs are falling and being blown away. I don’t mean to talk in riddles but sometimes its easier to explain in those terms. I have lots of stories and probably could talk about almost anything given a few pointers and love to talk to people and also learn about what they’ve been up too but everyone has such limited time now and other people to spend it with. So many of my closest friends all have families and its right for them to spend time with them but I feel I’m stealing their time to make myself feel better for those few hours and so I cut my time off and leave them and occupy my mind again. I could program something on-line, run a business, run an idea, start a fitness thing, sleep, do some university things, try communicating with lost contacts, see what people are up to, go shopping, make food, cook, develop a crazy food dish, feed people, go out, dance, volunteer, trampoline or just stop and remember that I am alone. I’ve been away for a week at Spring harvest and one thing I love about it is that the silence is there to sleep but otherwise there is always someone to talk too and spend time with, to eat with and not be left alone at any point unless wanted. I was originally assigned to the “All Age Celebration” team and I was not happy. Last year I hated the event, it annoyed me more than I knew how to express it and really did not want to be on that team again. I was all up for saying “No, take me off it – I will not do it” but then thought – I’d asked to be where I was needed. I went to the team leader and said “I really do not like this event, last year I was on it and did not enjoy it at all however I have done that event and I am the only one this year that’s done it. I will stay on it if that is what is needed as I am here to help but still needed to tell you” and left it with that accepting if that was where I was needed, that is where I would help. In around 20 minutes one of the other team guys offered to swap with me and I took them up so ended up on Centre stage which seems to have been where I needed to be. I was very thankful for the swap more than I probably could express. This year I was on Early shift, every year up to now since the shift system has been in place I have been on the late shift – I got a lot more rest on that shift though not really working any less hours. Early meant that we finished after the main celebration at night so off by around 10 pm but started at 7.30 am. Late shift started nearer 10 am and finished after midnight which naturally I seem more awake at. I’ve been thinking to look more into Christianity, to really study it and challenge the messages. I’d like to find a church I can be a part of and grow as me and not the expectations from various things I’ve helped with. I want a church that will go out and help a community and not just talk about it then taking no action and that they help guide members on how to help as well. I see the greatest worship in doing… Financially isn’t something I can do much but I can share my time to help such as stewarding though I often do that for the friendship feeling. I don’t think I’ll be there next year as dissertation will be due and all at the same time. There are a few that haven’t came this year because of this and a few that have came knowing they are going back for a hard week or two but needed the break. I notice most things that are said are all I and now We, thinking now is a time to get more involved again – see what connections the uni has – i.e. Bible studies, CU and see what can be done on campus as well as locally. I loved the 40 acts idea over the lent period before Easter – it was an inspiration and actually strengthened my faith or at least got me asking questions again. On what I think was the third night, in the evening celebration, we had a mixture of two events – the 11 to 14’s and the 15 to 18’s in our one venue – a joint evening – I welcomed the extra responsibilities instead of just sitting around. While walking checking on my team I came across a situation I was not expecting. I re-saw something I thought was past, something from the last harvest where we saw the groups shrinking for worship for young people and I heard “it’s OK, it’ll grow and you’ll see” but then harvest stopped, IXth hour seemed to stop, all events involved with stopped and fizzled out and I’d kinda accepted it was just a dream and nothing more. The week was hard work and at times I had to stand back from lifting after hurting my shoulders months ago and knowing when to stop. I got back in there and did what I could – be that just stacking chairs when I could no longer lift and carry batches of them or sorting the queue outside when I needed a little air and wanted out the way. Our days were long but all quite rewarding, and always ready to sleep at the end of the day. There was a story said that went along the lines of someone wanting to help people with a bad beginning to life to get work, a sandwich shop based in west London that for each one sold then a meal is supplied to a Kenya child. They pitched an idea out to friends and contacts with no more than a base business plan and idea and got some funding and got started and grew but not on their own, they got help, they got started and they went for it. I have worried as I have said earlier about how the country is going and how people are surviving or not as it is getting more like and want to do something to help if I can. When I finished university originally I thought to do mission work and went to loads of organisations seeing what I could get involved with including YFC, YWAM, UCB and others but all in my mind I thought was “Mission starts at home” – so many people are going out elsewhere, but we are struggling here and that laid on my heart 16 years ago but I felt I was too young, how can I make a difference? what can I do and just it went into the background. Now I see people struggling and would love to find a place or set-up a place where people can come and eat and not worry about the cost but have a healthy full filling meal. Somewhere they can stay if they are homeless or struggling or just trying to get away from others and need somewhere to rest. I have NO IDEA how this will be possible and in some following messages I will expand on my idea however I will need help, and lots of it. I have some ideas but feel that we need to work together to serve each other and help. I don’t know how this will happen but trust it will and believe it is possible. It is time to stop just existing but to do something and use those connections and see what is real or not. Spring Harvest was a start for me for multiple things – One: to help get me back to happy me, having a passion for something in helping again and Two: to get fitter and over the week I was averaging around 10 km per day walking and then the moving of chairs in venue set-ups/take downs and I certainly ached a few days while doing it particularly nearer the end of the week but found it a good start. When home now, it feels strange that I don’t need to walk anywhere but in the next few days my real training begins for the sponsor event and spring harvest was the warm up week before the main training. That was the End of 2012, Happy New Year! Since I have done so many frequent updates, I thought I could do another one totalling a grand total of 20 posts for the year – almost 2 a month… Not great but I’ve been busy. I’ve had another year of University, I’ve made it through the exams and got into my second year of a part time law degree and enjoying greatly although still not quite enjoying the amount of reading that goes along side it all. I don’t know how or if I did anything when I was a full time student. I seem to get a lot more work done and to a much higher standard now while trying to manage multiple jobs and other comitments. I honestly don’t know what I did when a student first time round. 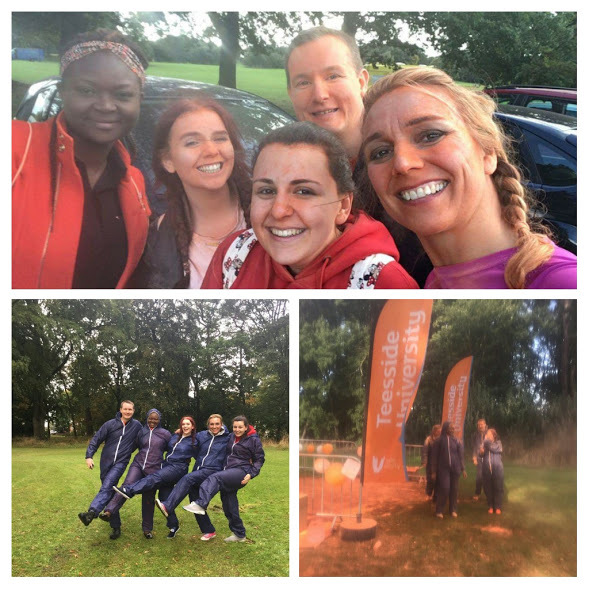 This year has been the year that has had me starting Trampoline Coaching again at Billingham Trampoline Club – I qualified years ago and have been on the refresher courses but never used it as didn’t have the time. Now I do that Monday nights – the only night I didn’t have something already on. For the next year… I don’t really have any big plans. There are many things I would like to happen, one being getting through University but nothing that I wish to share. I hope that you have had a great year and the next year will be so much more amazing for you. I have started for the past couple of weeks to do my trampoline coaching again. I passed the assistant coaching a few years ago but have never really used it more than in the adult classes while I attend to help out. I wanted to do more with it. On a Monday night now, after work I help out at two of the classes. I’m still re-learning how to teach, a refresher in it all but it seems to be coming back quite fast. I’ve been unable so far to find my coaching booklet but watching people start a move seems to remind me of the progressions and I can advise on how to improve them. I started the coaching course initially not to help others but to help myself. I had difficulty understanding what some of the coaches were describing me to do and wanted to understand from their point of view so I enrolled on the first course. It took me about a year to complete it, and the exam although scary and nerve wrecking, was not so bad as I had kids and others that worked well with me to get through it. However after the course and exam and passing, I didn’t use the qualification. I’ve been on the refresher courses, and child protection courses so seem to have lots of certificates for things but was not helping anyone with it all. I wanted to help but never had the time, I needed to make time somehow but that didn’t happen either but since breaking up from university, I had extra time so have started to use it. After a few more months of experience and getting back into the swing of it all, I would like to train for my level 2 qualification in it and see how I go from there. Level 2 would open doors to do a lot more in trampolining, there seems to be quite a lot of that level in Billingham Trampoline Club – they do seem to like to get as many people trained up. I’ve been told that I should be able to apply for funding towards the costs and the club can help support/pay too which would be great. I think it is something I could work on alongside my university work as it is a completly different type of learning, it is a lot more about action than theory but still should be an interesting diversion from university work. I didn’t think I would go for any further level, but now, after a couple of weeks of coaching, I want to do more. I’m going to have extra time… I could actually rest? I’m coming to the end of the first year of my university degree and notice of all the extra time I will have available to me and one thing that came to me was “I can eat more tasty and healthy meals again” – I know that sounds quite a sad thought really but for the past 8 months of university my days tend to start at around 8am and me not getting back into the house until about 9 or 10pm due to being at work, or at university. The thought that I can eat a mixture of stirfry’s with fresh ingredients again. I can bulk buy the chicken from Makro (About 5kg batches for one person is a bulk purchase) and get the fresh ingredients from the local farm. I like getting the ingredients from there, they often have only picked it in the last few days if not few hours. Really fresh stuff and often not as expensive as the supermarkets. I’ve not gotten there recently due to their opening hours mixed with my hectic time table. As I stare at the calendar and see after the 16th May that my calendar is looking very empty from about 6pm each day, it seems so strange. My plan would be to have around a month off from all uni stuff and then start the reading for next year – we have already been given the plan of classes but no other information yet… and thankfully not really – not got through the exams yet for this year. I hope to get a lot of projects completed, one I’ve worked on alongside university that is near completion but I’ve so many ideas and I’ve been writing them down and putting them aside as I know that I can not do them all, and if I start now with them, I’ll never get through the uni work I need to do and I plan to pass this degree. I’ve worked hard this year to get this far – I’m not stopping now just 10 days or so before all exams are complete. So, I’m sure that free/extra time will be filled with something very quickly but its a nice thought to see a break even if it will vanish quickly. Maybe I’ll get fitter, do some gardening, write a book, actually complete reading non uni books, or just see a lot more friends again. I’m looking forward to the change, it should be fun!